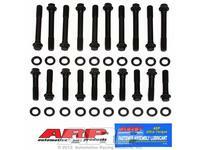 All ARP Pro Series bolts are cold-forged to ensure molecular integrity, heat-treated prior to thread rolling and machining, and are rated nominally at 200,000 psi. 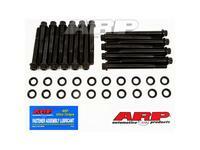 ARP Pro Series head bolt kits are application specific – designed for use with typically competition only components. 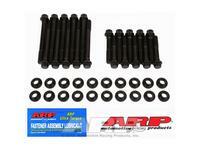 These fasteners deliver superior strength and meet the ARP “ZERO defect – ZERO failure” quality standard. 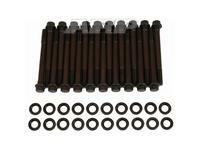 Hardened and parallel-ground washers are included with each kit to ensure even load distribution and accurate torque readings. 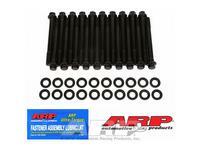 All ARP Pro Series head bolts have a reduced wrenching hex or 12-point head and wide area flange to eliminate the need for valve train removal for cylinder head retorquing and permits the use of larger diameter valve springs. 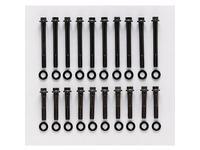 Most applications have undercut short bolts that can help eliminate head gasket failures through providing more “stretch” to compensate for the additional compression of gaskets. 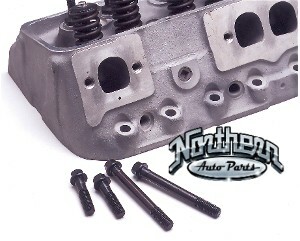 Ford SB 289, 302 with factory heads or Edelbrock heads 60259, 60379. 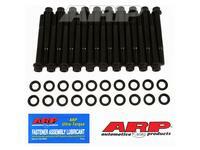 ARP 154-3701 12 Point Head, High Performance Cylinder head bolts. 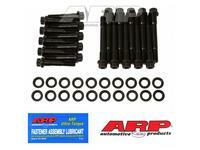 Ford, 6-cylinder 4.5L SVO Inline valve 6, ARP 253-3702 12-Point Pro Series, Cylinder head bolts. 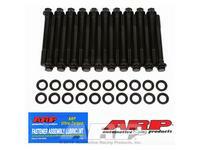 Ford SB 351 Cleveland SVO, Iron block ARP 254-3701 12-Point Pro Series, Cylinder head bolts. 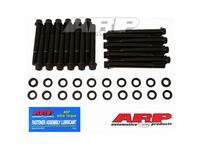 Ford SB 302 Boss ARP 254-3702 12-Point Pro Series, Cylinder head bolts. 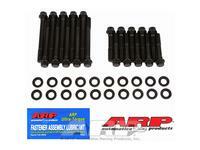 Ford SB 351 Cleveland and 351-400M ARP 254-3704 12-Point Pro Series, Cylinder head bolts. 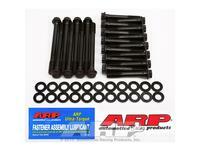 Ford SB 302 with 351 Windsor heads 1/2"-7/16" stepped bolt, ARP 254-3708 12-Point Pro Series, Cylinder head bolts. 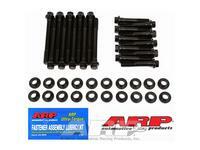 Ford SB 351 SVO, Yates design, ARP 254-3709 12-Point Pro Series, Cylinder head bolts. 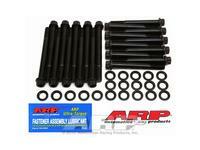 Ford SB 351 SVO, Yates 1994 design, ARP 254-3710 12-Point Pro Series, Cylinder head bolts. 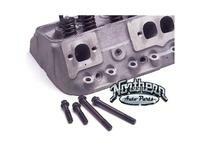 Ford SB 351R block with C3 / C3L heads, ARP 254-3711 12-Point Pro Series, Cylinder head bolts.